When it comes to work, a pair of sturdy and reliable shoes are absolutely essential. Safety trainers are a great way to go because they provide you with superb levels of comfort as well as the protection you need and expect. 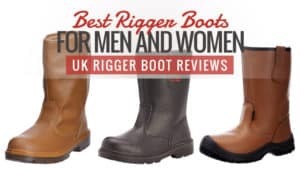 It’s not always easy to choose the right pair, and so we have put this guide together, showcasing the best safety trainers on the market as well as the safety trainer reviews that go with them. 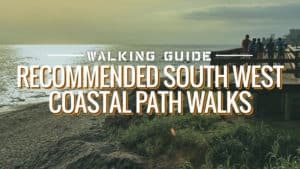 Take a look at this guide, and you will be sure to find the perfect pair for you. 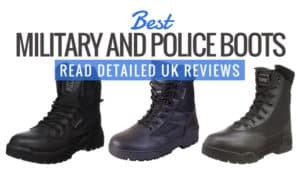 It can be pretty difficult to find the perfect pair of safety trainers, especially when there are so many on the market. 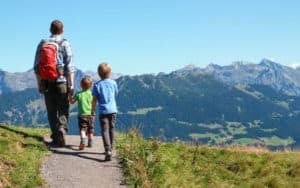 However, in this section we take you through some of the main criteria you should be taking into account when you go to choose a pair of safety trainers. The first thing you need to determine is your budget. How much are you willing to spend on a pair of safety trainers, and how much are you able to go over that budget? 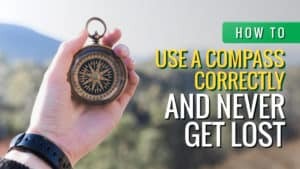 Coming to a decision regarding this can make the process a lot faster and also really narrow down your choices. It’s definitely one of the most important deciding factors. You should also take the weight of the trainers into account. Some models can be very heavy and bulky, which can make it a little difficult to move seamlessly. 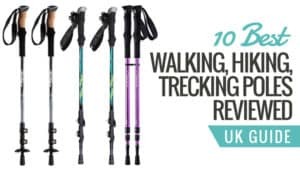 Other models are very lightweight, making them flexible and easy to move with your feet. This can be a pretty important aspect to consider. Some safety trainers don’t come with toe caps or midsole protection. However, the majority do. You need to decide if you want toe caps and midsole protection, or if you are alright with a reinforced upper and thick sole. Generally, the midsole insert will protect you against sharp debris, and the toe cap will keep your toes safe from heavy objects that may fall on them. 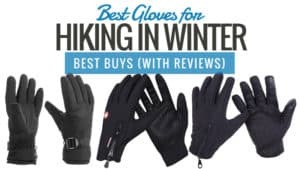 You should always check out the reviews for the trainers you are looking to purchase. They can tell you a lot about a product and its overall quality, giving you good insight before you buy. 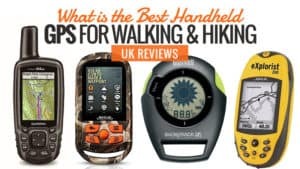 While expensive trainers are often more durable and reliable than the cheaper ones, this is not always the case, and so the reviews can come in very handy. Look at the quality and not the price tag. When you are looking for a pair of safety trainers, make sure you are buying the pair that is right for you. 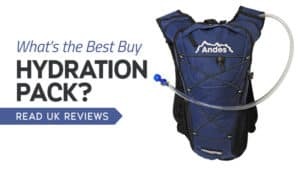 One of the things to consider is the overall breathability of the trainers. 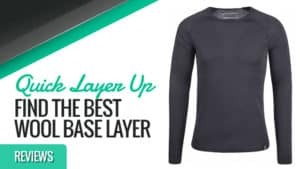 Some have a mesh outer, and others are made from breathable materials. These allow your feet to breathe and remain cool while you are working, preventing sweating and the build-up of bacteria. This leads onto antimicrobial features. 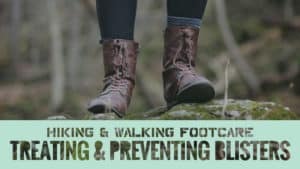 This aspect means that your trainers will work to protect your feet from fungi and bacteria, reducing your chances of athlete’s foot and other infections. You should always take this into consideration when you go to purchase a pair of safety trainers. When it comes to the toe cap, you also need to decide between metal and composite. 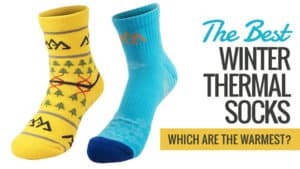 Both are incredibly strong, and will definitely protect your toes from falling objects and debris. However, there is a difference in terms of weight. The composite models tend to be much lighter, which makes them easier to move around in. All that’s left is to choose the perfect pair for you. 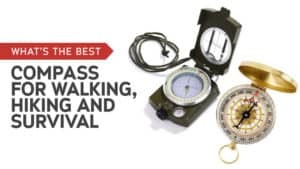 Take a look at our safety trainer reviews for some of our favourite models. Puma is a popular and trusted brand that provide some of the best footwear on the market. If you are in need of safety trainers, then Puma is definitely a brand you should consider looking at. While a little pricier than most, they do offer great comfort, so take a look and see for yourself. 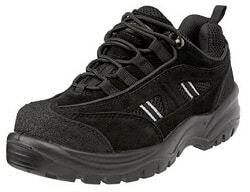 These trainers are comfortable and flexible, moving with your foot while you work. They have a leather and suede upper, making them incredibly breathable so that your feet don’t end up sweating while you are at work. They have an aluminium toe cap, and a flexible FAP midsole for additional protection. They have a soft footbed that has been designed with extra cushioning, moulding itself to your foot and providing the best comfort possible. Plus, they have a really funky design. Some customers have found that the heel wears away after around six months, but this is not a common occurrence. These Puma safety trainers may be more expensive than most models, but they do offer fantastic protection from potential workplace hazards. 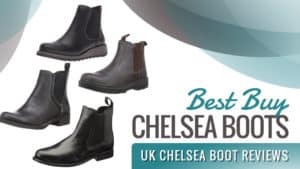 Comfortable and designed to work with your feet for an easier working day, they provide your feet with an excellent level of protection as well as a look that is both professional and funky. Dickies are a trusted and reliable brand, making them ideal for a range of occasions. Their safety trainers certainly live up to the level of quality and durability you would expect from such a big brand. 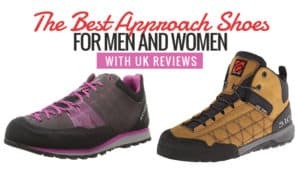 Check out the reviews and see if these are the right trainers for you. These safety trainers have a great black and blue design, making them a little fun while still maintaining a professional appearance. They have been manufactured to meet EN20345 standards, with a superb composite toe cap to keep your toes safe from debris. 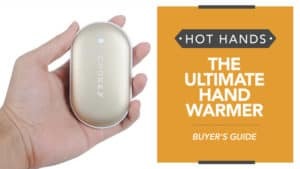 They have a padded collar and tongue to prevent rubbing against your ankles, so that you can keep working without your feet getting sore too quickly. The sole is slip resistant and made to an SRA standard. The mesh uppers are also water resistant, and the trainers metal free. These trainers do come up a bit large, so make sure you take this into consideration when you go to order a pair. 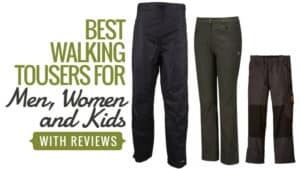 While considered to be a little pricey when compared to many other brands and models, you are paying for fantastic quality and comfort when you invest in a pair of these. 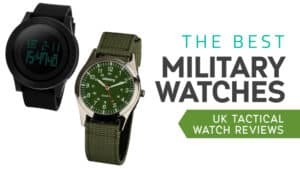 They are sure to last you through many hard jobs, and over a long period of time. Made to fit with all the relevant standards and regulations, they are certainly a pair worth considering. Q: Are these safety shoes anti static? 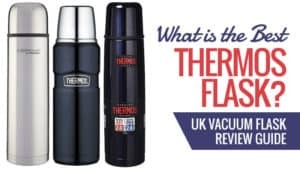 A: Yes they are good for safety and with anti static, also comfortable to wear. Groundwork is a great brand for work shoes and trainers, offering some of the best protective footwear. Available at a reasonable and affordable price, these comfortable safety trainers might just be the way to go. 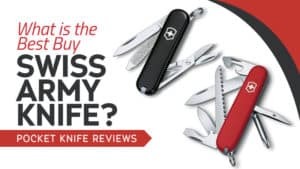 Take a look at the reviews and see if they work for you. 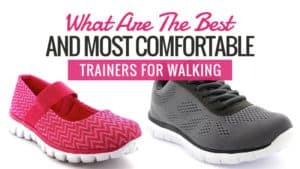 These trainers for women are incredibly lightweight and flexible, so they move comfortably with your foot and won’t feel like heavy weights on your feet. 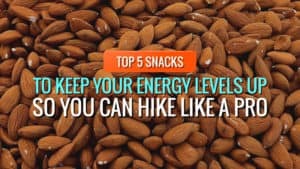 Plus, they keep your feet feeling good throughout the day, so they don’t end up sore and tired after a couple of hours. The sole is made from tough rubber and is completely slip-resistant, keeping your steady and stable in your place of work. They have compression protection and are also made to comply with ENISO 20345 standards for safety footwear. Plus, there is a steel toe cap for added protection. They can rub on your ankles a little, and it is advised that you wear a size up from what you normally wear. 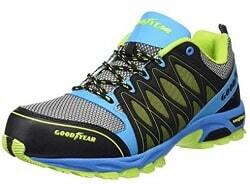 These fantastic trainers are nifty and affordable, allowing you to benefit from great comfort at a reasonable price. The steel toe cap is perfect for protecting your toes from debris and other hazards, and the non-slip sole makes it ideal for avoiding work hazards. 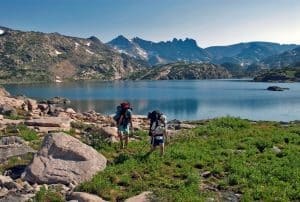 If you are looking for a sturdy pair of safety trainers, then make sure you consider these. Q: Can the insole be removed for an orthotic ? DeWalt is a top brand, especially in the construction industry. 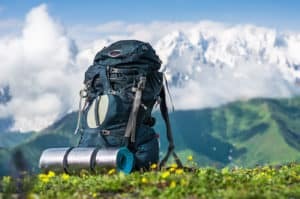 Thousands of people own their products, and they are known for their quality and reliability. This is no different for their trainers, all of which are made to a high standard. So if you are looking for a new pair of safety trainers, you don’t need to look any further than here. These safety trainers have a steep toe cap and a composite midsole for additional protection, so you are safe from sharp debris on the ground, and heavy objects from falling on your toes. They are also very lightweight, making them easy to wear and light on your feet, so you don’t feel weighed down. The foot bed is antibacterial, helping to prevent athletes foot and a build-up of fungi and sweat in the shoe. It has a gum rubber sole for fantastic grip, as well as a mesh outing to keep your feet cool and to encourage breathability. 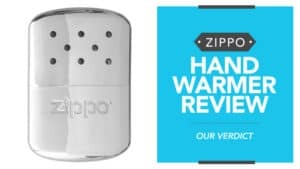 This keeps you comfortable throughout the day. 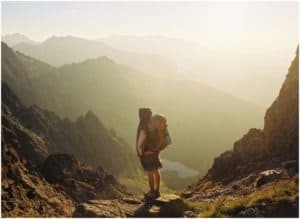 Some feel that they could be more breathable and have found themselves with sweaty feet at the end of the working day. 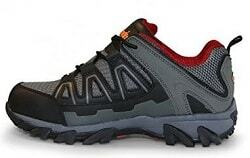 These safety trainers are mid-range in terms of price, making them relatively affordable. Made by a top brand, you are assured excellent quality and durability when you purchase a pair. 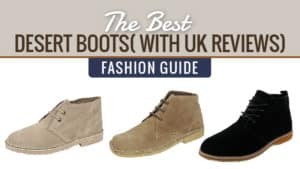 While some feel that they could be more breathable, these trainers will offer you an excellent level of comfort throughout the working day, so make sure you take these into consideration. 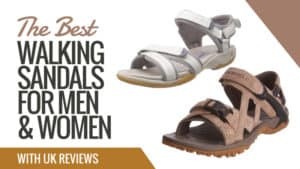 It can be a little trickier to find ladies’ safety trainers, but this pair by Ottawa are an excellent one to take into consideration. 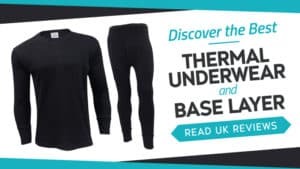 Affordable and comfortable, they might be just what you have been looking for. Take a look at the reviews and see for yourself. These safety trainers are stylish, but also professional in appearance. They have leather suede uppers, as well as a composite toe cap for additional protection in the workplace. The insole is also shock absorbent in case of high impact. The trainers are manufactured to comply with EN ISO 20345 safety standards, and the sole is incredibly flexible as it was made for manual labour. 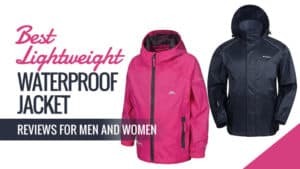 They are also oil-resistant, which is ideal for the majority of workplaces. 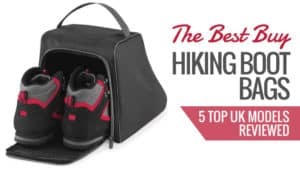 These trainers can come up a little big, so it is recommended that you take this into account when you go to purchase them. 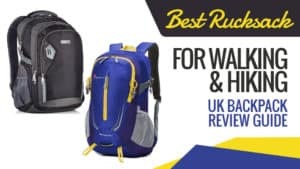 These safety trainers are affordable and reasonably priced, making them a great choice if you find yourself on a budget. 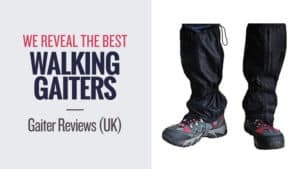 Reliable, durable, and excellent quality, these trainers will offer you excellent levels of protection when you are at work, as well as ensure you remain comfortable. So when you go to find a new pair of safety trainers, make sure you take a good look at these. Q: Do these shoes come with the iso certificate? 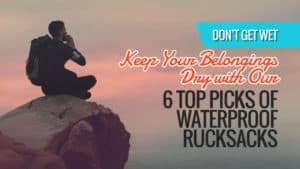 Scruffs are another leading brand when it comes to safety footwear. They produce some of the best quality footwear, and are sure to keep your feet protected during the working day. 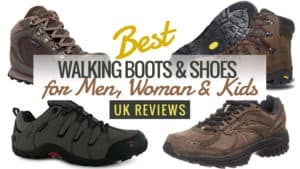 Take a look at the reviews and see if these are the right safety trainers for you. These safety trainers feature a cushioned support sole, which helps to support your legs and back while you are working, and also to help you stay comfortable. They also feature double stitching on stress points, making them even stronger and durable. The padded tongue and ankle collar are there to prevent rubbing, but also to add to your overall comfort levels. 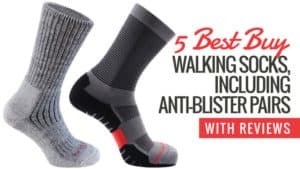 They also have an anti-scuff toe bumper, so you won’t find yourself with tears in the front of your shoes after a short period of time. Plus, they are SRA rated with a slip resistant sole. They are a little heavier than you might expect, but you get used to it as you wear them. These highly affordable safety trainers could be the best on the market. They are strong, durable, and resistant – making them an excellent choice for the workplace. Plus, they offer excellent levels of comfort so that you don’t end up with sore feet after a hard day of work. It’s definitely worth taking a good look at these safety trainers. 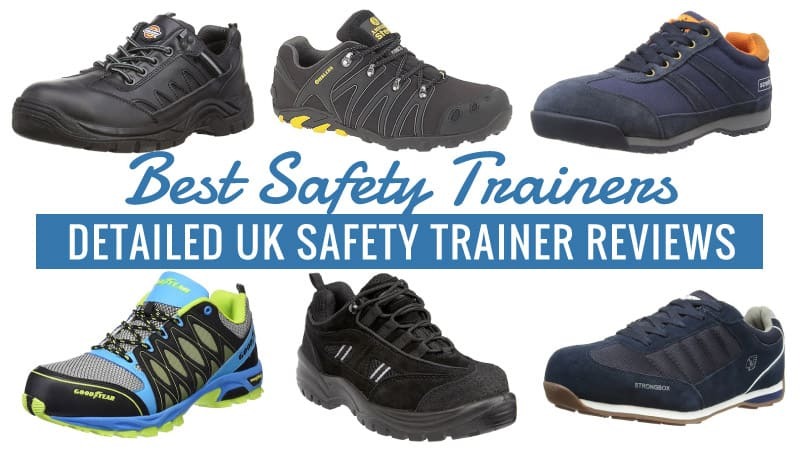 Here are some of the other great safety trainers that we reckon will keep your feet comfortable and well protected. These safety trainers for men are incredibly comfortable as well as lightweight, so you can wear them all day without getting sore feet. They have a steel toe cap to help protect you against workplace dangers, such as dropping heavy objects on your feet. They are penetration resistant, and shock absorbing heels, as well as heat insulation. 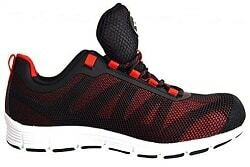 These safety trainers for men come in a great blend of colours for a more stylish appearance. They have a robust design and are antistatic, as well as being breathable with a soft inner sole. Built for comfort during your work day, they work to move seamlessly with your feet when you move, so you don’t end up sore and tired. The outsole is also heat resistant up to 300-degrees. In addition to this, there is a composite toe cap for added protection. These safety trainers feature outdoor slip resistance, so you don’t have to worry too much about falling over after something has been spilt. They also have a safety toe, protecting your toes from falling debris and other items. The insoles are padded for additional comfort while you are working, and they are also shock absorbent. Available at a reasonable price, these are a great pair to go for. These unisex safety trainers feature a padded collar and tongue to provide you with extra comfort during the working day. 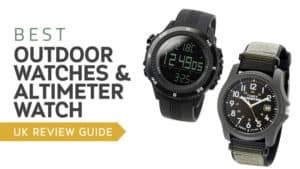 It has a steel toe cap as well as a steel midsole, protecting your toes from debris, as well as the sole of your feet from sharp objects on the ground. 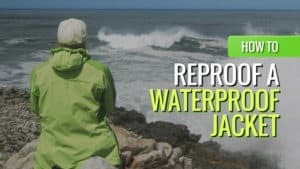 The sole is resistant to chemicals, as well as oil resistant. 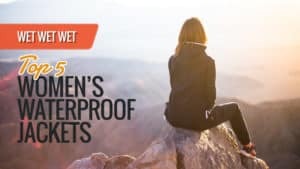 On top of this, they are shock absorbent, and even anti-static. 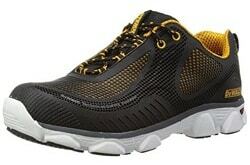 At a reasonable price, this is a pair of safety trainers you don’t want to miss. 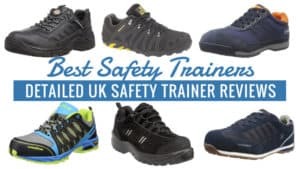 We have listed some fantastic safety trainers here, and we hope that you have been able to find a perfect pair as a result. Whether you are looking for something with a composite toe or steel toe, we have a trainer here for you. From bright colours, to classic blacks and whites, we have a wide selection of those here too. 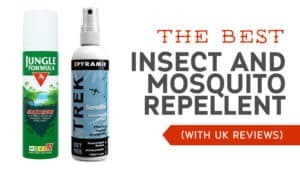 Plus, some models are even chemical resistant, which is a bonus feature. Regardless of what you need, and the kind of budget you have, the best safety trainers for you are right here. What did you think of our safety trainer selection? Are there any you would have added? We love hearing from you, so feel free to leave a message in the comments below.